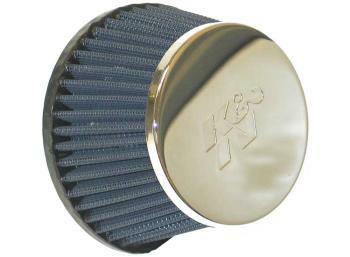 The K&N Flame Arrestor makes the world’s leading air-filtration technology available for marine engine use. For the first time, boat owners can experience the increased horsepower and engine protection provided by K&N’s unique oiled cotton gauze and epoxied screen filter element. For high performance on the water, no other product can match the “horsepower-per buck” benefits of the K&N Flame Arrestor.